There is a new craze doing the rounds at the moment – The Tree of Life Brelfie. For those of you who don’t know what a brelfie is, it is a breastfeeding selfie. 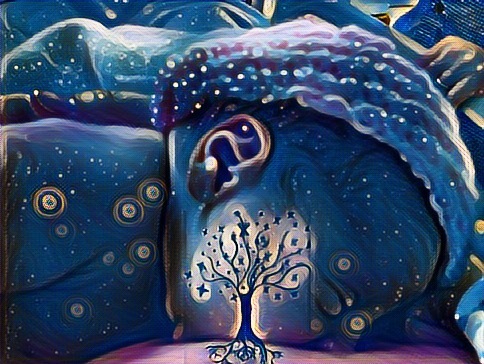 These pictures use an app called PicsArt to superimpose a tree with roots onto a breastfeeding picture before using different art styles to add an effect to the picture. They are incredible pictures to look at but I have to admit that I was dubious at first. I was worried that despite being visually stunning and despite being a symbol of a proud mother, they would soon just become the latest fuel on the fire of the whole breast vs formula feeding debate. Usually calm and centred women would once again become enraged because they perceived a beautiful picture to be slighting their choice of feeding. Now due to a number of issues I formula fed my children exclusively after the first few weeks and I was at times shamed for this. However, I really do not see the need for any such debate or ill feeling. Babies need to be fed and as long as they are fed then end of story! I will happily say that I have so far been wrong in my prediction. All of the pictures that I have seen have been viewed as the beautiful, life affirming, proud mummy moments that they were meant to be. And so do you know what, I decided to do my own. Even though it didn’t work out for me, I did try. I am proud that I tried. I never got a picture of me feeding baby boy but I did get one of me feeding baby girl and so I am celebrating that fact! I am a proud mother! Share your brelfies proudly ladies! « Mother in Law or Monster in Law?